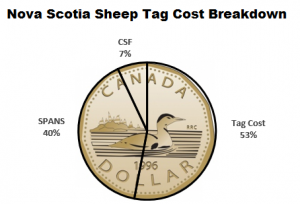 The Canadian Sheep Identification Program (CSIP) is a mandatory, industry-led initiative to develop a traceback system that will lead to a full-scale traceability system and the capacity to address producer concerns about sheep health, provide valuable management feedback to producers, and meet consumer expectations for quality assurance and food safety. When you purchase CSIP approved tags from a recognized dealer, a $1.50 per tag check-off is applied. 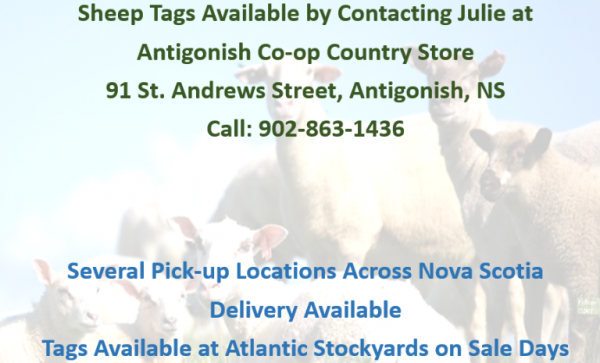 Payment of this check-off means you automatically become a member of the Sheep Producers Association of Nova Scotia. Please visit our Member Benefits Page for more information. 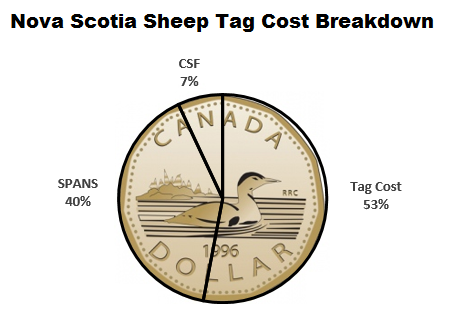 With each tag purchased, there is also a $0.25 check-off which is paid directly to the Canadian Sheep Federation, which is used for national priorities related to marketing, food safety, traceability and animal health.